Established in the year 2011 we, “Omega Weld Rod Systems” are a profound organization involved in offering Welding Machinery & Wire Plants. Our product range is precisely manufactured under the supervision of our experienced and hardworking professionals who employ advent technology and machinery to achieve the desired array and stand tall on the patrons expectation and satisfaction. Products that we offer include Dry Mixer - Rotating Double Cone, Wet Mixer, Briquetting Slug Press, Wire Straightening & Cutting Machine, Wire Feeder Vertical, Conveyor Unit, Bell Housing Type Extruder and others. 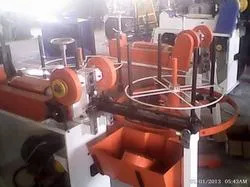 In addition to this, we offer PRE Block, Wet Wire Drawing Machine, Copper Coating Unit, BB Block, 15 kg Spooler, Winder Plants and others. These industrial machines are fabricated as per the requirements of the patrons so that their tastes and preferences are met in a fruitful manner. These team mates make use of superior grade raw material that is obtained from the most authentic vendors of the industry. Besides, our range can be availed in variety of customized options along with their availability in diverse sizes, grades and dimensions. Further, this range is applauded in the market for their attributes like excellent workability, robust construction and longer service life. 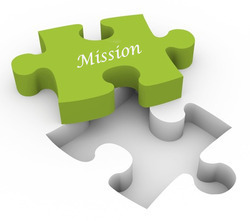 We are associated by a team of hardworking and skilled team who follow the path of quality and client satisfaction with an aim to meet the patrons needs and demands in a well defined manner. 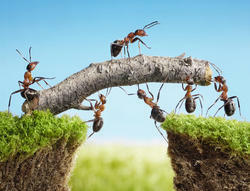 Our team mates hold high qualifications and degrees that enables them to come up with an outstanding range. In addition to this, our professionals maintain close bonds with the customers to comprehend to their requirements and then work accordingly to accomplish the business related tasks in a timely manner. We have also recruited a team of quality controllers who strive hard to dispatch a flawless range to maintain a harmonious relationship. Besides, we laid utmost emphasis on transparent business operations to create strong bond with the clients situated all over. 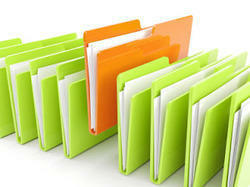 We exports our products all over world like South East Asia, East/Middle Africa etc. Under the astute guidance of our mentor, 'Mr. I. G. Vallal’, we have been able to scale new heights of growth and success in this specified arena. His commendable knowledge, sharp business skills and immense experience have enabled us to hold unmatched access to the prerequisite demands and needs of the clients. "Omega Weld Rod Systems plans to enlarge its portfolio and scope of operations to attain a pre-eminent position as a preferred destination for welding solutions. We shall endeavour to consolidate our leadership in the Indian market, make an indelible mark on the international arena in the foreseeable future and sustain the position in the years to come." "The mission of Omega Weld Rod Systems is the principle of presenting every customer with value for money welding solutions. We make this possible by monitoring every stage of our operations, ensuring the highest quality in specifications and standards as well as providing them with the requisite support and distribution network." Founder of Omega weldrod Systems is I.G.Vallal, the most experienced manufacturer of Welding Electrodes Manufacturing Plants. He is in this field for the past 27 Years (Since 1985). Designed, manufactured and supplied the first 500kg per 8hr shift capacity commercial Welding electrode plant in 1988, 5Tons per shift capacity Horizontal Twin Cylinder Extrusion Plant in 2005 and Recently Supplied a 10 tons per shift capacity Horizontal Twin Flux Cylinder (Size ID 240 mm x Length 850mm ) Welding Rod Plant to M/S. Sharp Electrodes Pvt. Ltd., Coimbatore, India. Our Director, Mr. 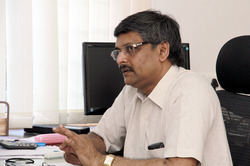 I. G. Vallal, has been the driving force for the company to enable it to reach lofty standards. His varied experience in the industry and sharp business acumen has empowered us to acquire the mantle of a leading manufacturer and supplier of welding machinery and solutions. 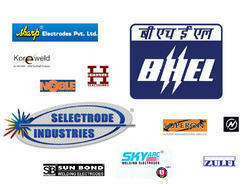 We are a reputed name of this domain, engaged in manufacturing, supplying and exporting a commendable range of Welding Machinery & Wire Plants to the esteemed clients. ISO 9001:2008 is an international standard that specifies the requirements for an effective Quality Management System (QMS). The Standard encourages a process approach and continual improvement. ISO 9001:2008 is embraced by organizations around the world as a proven method to ensure customer satisfaction by meeting customer requirements. 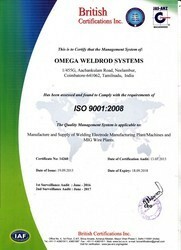 Omega Weldrod systems integrates the principles of ISO 9001:2008 within its overall management system. In order to verify continued conformance to ISO 9001:2008 requirements, British Certification Inc,India, our global registrar, regularly evaluates our Quality Management System through on-site audits. 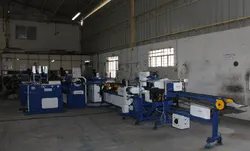 We are a coveted organization engaged in manufacturing, supplying and exporting a wide assortment of Welding Machinery & Wire Plants to our deemed patrons. These offered products are fabricated by making use of premium quality raw material in total conformity with the international quality standards and norms. In addition to this, our entire product range is checked on quality parameters to ensure their error free nature at the clients end. Regarded for precision engineering, sturdy construction and high efficiency, these machines can be availed from us in diverse sizes, grades and other specifications. 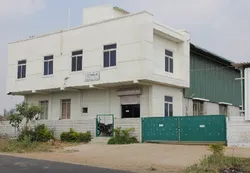 We, Omega Weldrod Systems introduce ourselves as manufacturers of Welding Electrodes and MIG (CO2) Welding Wire Manufacturing Plant and Machinery from Coimbatore, India. Our production plan includes Welding Rod Manufacturing Plants of capacity 2 Ton Per Shift, 3 Ton per Shift, 4 Ton Per shift, 5 Ton Per shift, 8 Ton per shift and 12 Ton per shift. Also includes MIG Wire Plant of 2 Tons per day capacity. Welding Electrode Plant includes various machinery like Wire Straightening and Cutting Machine, Dry Powder Mixer, Wet Mixer, Welding rod Extrusion Plant, Concentricity Tester, Electrode Baking Oven and Flux and Wire reclamation machine for Rejected Electrodes in process.